Imagine being able to get out of bed in the morning and take your first few steps without excruciating pain? What would it be like to sit through a movie and be able to stand up and walk without fear of pain with your first few steps. What would that be worth to you? Plantar Fasciitis refers to inflammation of the band of tissue on the bottom of the foot, specifically at the inside of the heel. Pain develops and tells the body to minimize motion due to irritation in the area leading to limping and difficulty walking. Typical symptoms include pain with the first few steps in the morning or after sitting for prolonged periods. Standing, walking and going without shoes can make it worse. 1) flat feet (“fallen arches”). 3) Sudden increase in activity – more time spent standing and walking. 5) In some cases it occurs with no significant change in activity at all. It can make it difficult to stand, walk, run and play. This can cause difficulty with man activities including work, exercise and daily activity such as walking, going up/down stairs and grocery shopping. • If it’s lasting more than 7 days. • If you’ve taken drugs but it no longer helps. • If you are having pain with standing and walking making it difficult to perform daily activities. When does it become urgent? • If you have pain without putting weight on your foot. • If your leg muscle begins to shrink (atrophy). • If you are having difficulty completing daily activities. If you experience any of these symptoms, call us immediately. Delaying treatment can make it much harder to treat. If left untreated, PLANTAR FASCIITIS can lead to a rupture of the plantar fascia. A rupture (tearing) of the Plantar Fascia can require prolonged immobilization in a stiff boot and require extensive rehabilitation to get back on your feet. If a tissue is inflamed for long time (chronic inflammation) it becomes weaker and more prone to rupture, so seeking a solution sooner rather than later is in your best interest. 1) Start by sitting cross legged and with the painful foot across your thigh. 2) Pull your big toe backwards (this puts tension on the Plantar Fascia). 3) Use your thumb to press on the bottom of your foot starting at the heel and working toward the toes. If you have significant tenderness you may have irritation of the Plantar Fascia. DISCLAIMER: This self test is not to be considered medical treatment or medical diagnosis of any kind. If you are experiencing significant pain or dysfunction you should obtain an examination from a qualified medical professional such as a Physical Therapist. My revolutionary “Plantar Fasciitis Solution” program gets rid of Plantar Fasciitis fast and best of all, it lasts! Significant pain relief and healing typically occurs after the very first session. Depending on the complexity of your condition, it may take up to 6 sessions for optimal benefit. I discovered this solution while working with over 1,000 patients who were suffering from Plantar Fasciitis. As I treated their pain and created tissue healing they were able to stand, walk, run and play again without pain! I am always on the hunt for the latest and most effective methods to solve my patient’s problems and over time I discovered and became skilled at using new, highly effective and unique methods to get fast results that last. I also found that if I normalize the muscles of the lower leg (and decrease the hyper activity) the flexibility of the ankle and hips naturally return. This discovery has led to a dramatic increase in how fast my patients get better. They were able to stand, walk, run and play again without pain! They were able to go back to their active lifestyles, yard/house work, & hike. They were able to play sports, work and live their life again! Most traditional Plantar Fasciitis treatments fail to lead to rapid and lasting results. And believe it or not, some may actually make the condition worse! My method is highly unique. I focus on delivering safe and pain free healing methods in combination to first create tissue healing, and then to restore balance to the muscles and soft tissues. Then and only then can you gain long-term relief. My 16 years of experience and research has led to the discovery of this revolutionary new way to stop Plantar Fasciitis pain and restore the ability to stand, walk, run and play in nearly almost anyone of any age, body type or condition. 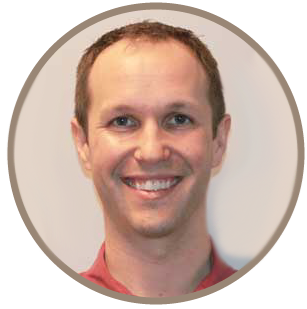 My name is Chris Taylor, PT and I am a licensed physical therapist who specializes in Plantar Fasciitis and other foot and ankle disorders. I’m also a certified in the delivery of specialized treatments to rapidly decrease pain and stimulate tissue healing. My team and I have a special interest in helping those with foot and ankle problems become more pain-free, healthy and active. 2. Be able to stand, walk, run, and play without pain again. 3. Improve ability to exercise. 1. Most feel better immediately. You can expect the pain to improve after the very first session. 2. You should see an improvement in your ability to do things without irritating the symptoms in as little as 7 days while on this program. 3. Most are done with the program in 6 sessions and then continue on their own. Some require 12 sessions depending on the complexity of their condition. 1. Because there are so many people who I believe need access to this one of a kind method, I have created a special program to make it extremely affordable for everyone. You don’t need insurance and don’t have to pay thousands of dollars. 2. The cost ranges from $39 to $89 per session. And most complete the program within 6 sessions. 3. The complexity of your condition will determine how many sessions you’ll need. Most everyone sees results the very first session and they love it. 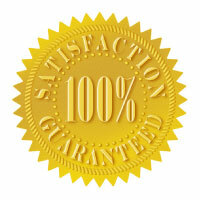 There’s a 100% money-back guarantee. If it doesn’t work, you can get your money back*. There’s no risk. Even if you tried other treatments before, this is guaranteed to work or your money back. So, if you tried drugs, manipulation, chiropractors, injections, or even surgery without success, you owe it to yourself to try this. As you can imagine there are a lot of people wanting to start this program. But due to our limited availability, we only have a few spots available at any given time. It’s only for those serious about getting rid of Plantar Fasciitis. Remember, this is only for you if you are serious about results. There is no reason to suffer any longer. Call (828) 348-1780 now to get started. Call (828) 347-1780 to claim this offer before it expires. 1) A private one-to-one exam by a licensed physical therapist and pain specialist. 2) A detailed explanation of the ROOT CAUSE of your pain/problem. 3) A list of exercises and things you can do at home to start feeling better right away. Yes. All procedures are FDA cleared and proven safe. I am a licensed Physical Therapist with over 16 years of practice (NC license number P13545).